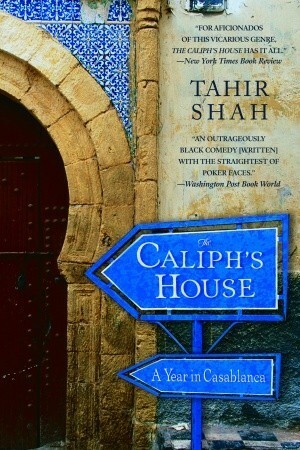 This is an account of how the young author moved himself, wife and two young children, lock stock and barrel to Morocco, bought and renovated The Caliph's House of the title, encountered all the strange and marvellous aspects of North African life, grappled with getting things done, the troublesome djinn Quandisha who lives in the house, the guardians of the house whose own houses in the local shanty get flattened by bulldozers, the man who steals and then returns their car, all the difficulties of hiring and firing staff, of managing builders and workmen, of sourcing building materials and finding true craftsmen, deciding whether or not to trust an assistant who seem to good to be true, and of exorcising the aforementioned djinn before the local guardian's remedies poison the children and kill them all off. All this while trying to write and to research the last year’s of his Afghani grandfather’s life in this country. ashramblings verdict 4* A delightful, extremely readable, oftimes funny book which will just make you smile.